Remember when 4000 passing yards and 30 touchdowns was the gold standard for quarterback play? It wasn’t that long ago. A slight increase from 2005 to 2010, but the 4000/30 club was still a prestigious group. The league has changed, and its ripple effect has now trickled down into fantasy football. The reality is, in the current NFL landscape the statistical difference between the best fantasy quarterback and the 10th fantasy quarterback isn’t much. With more and more fantasy owners making this realization, the trendy strategy has been to wait on drafting a quarterback. Over the next two weeks I will rank my top 30 fantasy quarterbacks for the 2016 season. This week I will dig into 30-16. If you end up with any of these above names as your starting quarterback, something went terribly wrong. My guess would be that you got hammered at your draft, passed out, and your league-mates took a vote who to select as your quarterback. Sanchez, (assuming he wins the job) Bridgewater, and Goff are going to be in similar situations. They will be playing in run-heavy offenses in which they will be asked to manage the game, not turn the ball over, and let their defense do the rest. I know there are some Bridgewater fanboys out there, but let me give you a sobering statistic. Last year, Teddy had exactly two games in which he threw multiple touchdown passes. That isn’t what you are looking for from a fantasy quarterback. I said it last year, and I will stand by this statement on Bridgewater. He is a better real life quarterback than he is a fantasy quarterback. Okay, 2015 was a disaster, but in his short NFL career Chip Kelly has engineered some serious fantasy production from his quarterbacks. I hope Kaepernick ends up winning the job. His speed combined with Kelly’s system could make him a steal in the late rounds of the draft. Even if it is Gabbert who ends up winning the job, there could be some value. Look no further than the 2014 season in which Mark Sanchez was producing QB1 numbers. Sanchez started eight games and posted top 7 weeks at his position on four occasions. It is the system people. My initial reaction was to automatically dismiss Osweiler as a viable fantasy option at the quarterback position. After doing some digging, I have to admit that he has a chance. Last season, Hoyer, who has half the arm talent that Osweiler possesses manged to throw multiple touchdown passes in seven of the 11 games he played. The Texans have upgraded their offense with the additions of Lamar Miller and speedster Will Fuller. Osweiler’s calling card is his big arm. Having one of the best jump ball receivers in the game to work with on down the field throws in DeAndre Hopkins won’t hurt his chances at success. Alex Smith is an underrated, underappreciated, and dare I say a good NFL quarterback. Just because a guy isn’t throwing for 300 yards and multiple touchdowns each week doesn’t mean they can’t be classified as good. In his three seasons in Kansas City he has the lead the Chiefs to records of 11-5, 9-7, and 11-5. The 11 win seasons lead to pair of playoff births. Smith’s strongest attribute is his consistency. Here is a breakdown of his three seasons in Kansas City. At this point everyone knows what they are going to get from Smith. He is one of those rare players whose floor and ceiling are almost identical. He is a safe QB2 in two quarterback formats. Mariota is generating some buzz as a player who will make a big statistical leap in year two. I am having trouble getting on board with this theory. Judging by the offseason moves to bring in DeMarco Murray, drafting Derrick Henry, and beefing up their offensive line tells me they are in the process of implementing a power-running scheme. Add in the fact that there isn’t a proven #1 receiver to help bring Mariota along has me skeptical on him making the jump. The Jets finally got a deal done with Fitzpatrick. He will try to improve on his career year of 2015 that saw him throw for 3905 yards and 31 touchdowns. While I anticipate a regression, it is hard to imagine him completing falling off with weapons like Brandon Marshall and Eric Decker to work with. Marshall and Decker accounted for 61% of the teams receiving yards. The league average for receiving yards by a teams top two pass catchers is 45% of the teams output. I have heard of receivers depending on the health of their quarterback to sustain production, but I think this is a rare case in which the quarterback needs his receiver(s) on the field to be successful. As expected, Cutler’s numbers dropped off with the departure of Marc Trestman. John Fox and Adam Gase brought a more balanced look to the Bears offense. While Cutler may have been more efficient his fantasy value took a hit. I give Cutler credit for the numbers he was able to produce. Especially when you take into consideration the outside weapons he had to work with for a good portion of the season. The career low in interceptions was also a good sign. With a full season from Alshon Jeffery and Kevin White primed to make an immediate impact Cutler should be a solid QB#2. Through the first six weeks of the season, Cousins was having a rough year. He had thrown just six touchdown passes compared to eight interceptions and was averaging only 237 yards passing per game. That all changed in Week 7 when Cousins led a ferocious comeback that saw him complete 33/40/317 – – 3/0. YOU LIKE THAT was born, and he rode that momentum to a strong second half of the season. He threw at least one touchdown pass in every game. He didn’t have a single game in which he threw two touchdown passes. It was always one or three or more. Over his final 10 games he threw 23 touchdown passes and just three interceptions. So what does 2016 hold for Cousins? If you believe that he can continue on with the momentum that he built up over the second half of the season, then you should have no reservations in drafting him as the starting quarterback for your fantasy team. Based on this ranking, and maybe I am being stubborn but think he takes a step back in 2016. I can’t overlook how he performed against teams with winning records (Jets, Pats, Panthers), as opposed to how he racked up his stats against some of the worst passing defenses in the league (Saints, Giants, Eagles). Most will rank Dalton higher than this based on his 2015 performance. At the time of his injury, he was one of the biggest surprises as the quarterback position and was poised to finish in the top 5 at his position. The problem is, much has changed since Dalton last played a snap for the Bengals. There have been some major changes to the offensive personnel. Namely 98 receptions and 1210 yards in the form of Marvin Jones and Mohamed Sanu are now suiting up for other teams. Those are some pretty big shoes to fill, and I don’t know that rookie Tyler Boyd and Brandon LaFell will be up to the task. Additionally, it certainly doesn’t help that red zone machine Tyler Eifert had offseason surgery, and as of now it looks doubtful that he will be ready for Week 1. While the personnel changes are concerning, in my humble opinion the loss of Hue Jackson will be Dalton’s biggest issue. Dalton has plenty of experience with new offensive coordinator Ken Zampese. He has been Dalton’s quarterback coach since day one. Even so, naturally there will be a transition period and I expect Dalton’s fantasy numbers to suffer. My bottom line on Dalton is that despite all of the change, he will still likely have a solid season. However, I am not overpaying for his 2015 production. Tannehill continued his ascension in the yardage department for a fourth straight year. The rest of his stats took a slight regression leading him to not live up to the buzz his name was generating a year ago at this time. In order for Tannehill to make the jump in touchdown production, he will have to clean up his red zone efficiency. Okay, having Gronk makes a difference but you get the idea. This will be a telling year for Tannehill. Another season of 4000-4200 yards combined with 24-27 touchdown passes might just mean that is who he is. It’s not that there is anything wrong with those numbers, but as illustrated above, it isn’t worth what it use to be either. I apologize if you have read this stat from me before, but it is too good not to share again. If you take out Flacco’s dreadful Week 1 performance at Denver, he averaged 297 passing yards per game. That yard per game average would have been good enough for fourth in the league. Trestman works magic for quarterbacks. I am not necessarily saying that he is an outstanding coach, but the sheer volume in which he calls passing plays equates to opportunities for big passing numbers. Here is a quick history lesson on Trestman. Going back to 1989 Trestman has been a play-caller in 11 different NFL seasons. In those 11 seasons his offenses have ranked in the top 10 in pass attempts seven times. On the the other side of the coin, his offenses have posted seven consecutive seasons of ranking 21st+ in rushing attempts. As expected, the rushing yardage hasn’t been there either. There has been exactly one occasion in which his offense has finished better than 16th in rushing yards. 11 seasons is a pretty serious sample size. Don’t be shocked when the offense throws the ball another 600+ times in 2016. Aside from the volume, I like the weapons that Flacco will be working with this year. He was desperately missing a speed guy to stretch the field last season. This year between Mike Wallace and Breshad Perriman there will be no shortage of speed on the field. When they get in the red zone the savvy veteran Steve Smith will find ways to create space. The offense will also be feature a trio of tight ends (Watson, Williams, Gillmore) who will be provide Flacco with big targets when they get close. According to Fantasypros ADP tool, Flacco is currently the 28th quarterback going off the board at pick 203. I have been around the block once or twice and have seen some out-of-whack rankings/ADP, but this one is the cake topper. If he stays healthy he is a lock to finish in the top 20 based on volume alone. Check back next week for 15-1. 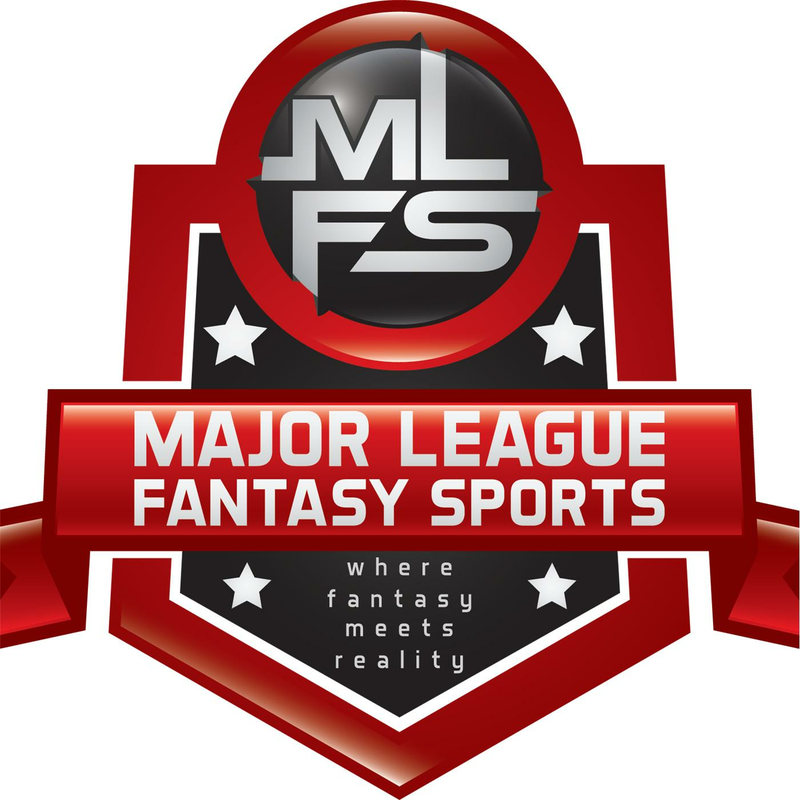 Major League Fantasy Football Radio: Join Ej Garr, Corey D Roberts, and Coach Andy Macuga live Saturday July 30th from 1-3pm EST for episode #65 of Major League Fantasy Football Radio. This is a live broadcast and we take callers at 323-870-4395 press 1 to speak with the hosts. This week we will break down the NFC South from an NFL and fantasy perspective. Major League Fantasy Baseball Radio: Join Corey D Roberts, Joe Iannone, and Kyle Amore live on Sunday July 31st, 2016 from 7-9pm EST for episode #74 of Major League Fantasy Baseball Radio. We are a live broadcast that will take callers at 323-870-4395. Press 1 to speak with the host. This week is ALL about the trade deadline deals and how they effect us in fantasy.